Light on the skin and adorable too, this printed dress will ensure that your angel looks charming. 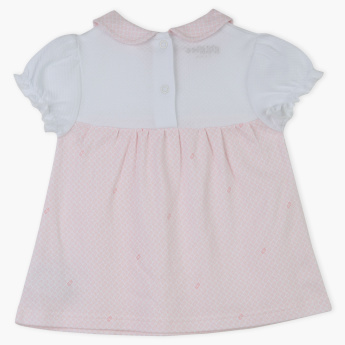 Sporting a lovely collar and puffed sleeves, the dress is ideal for her comfort. Features : Collar neckline girl dress with back opening for easy dressing. 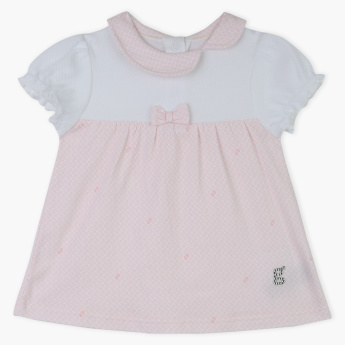 Embellished of bow knot and puff designed sleeves gives an outfit an adorable looks.